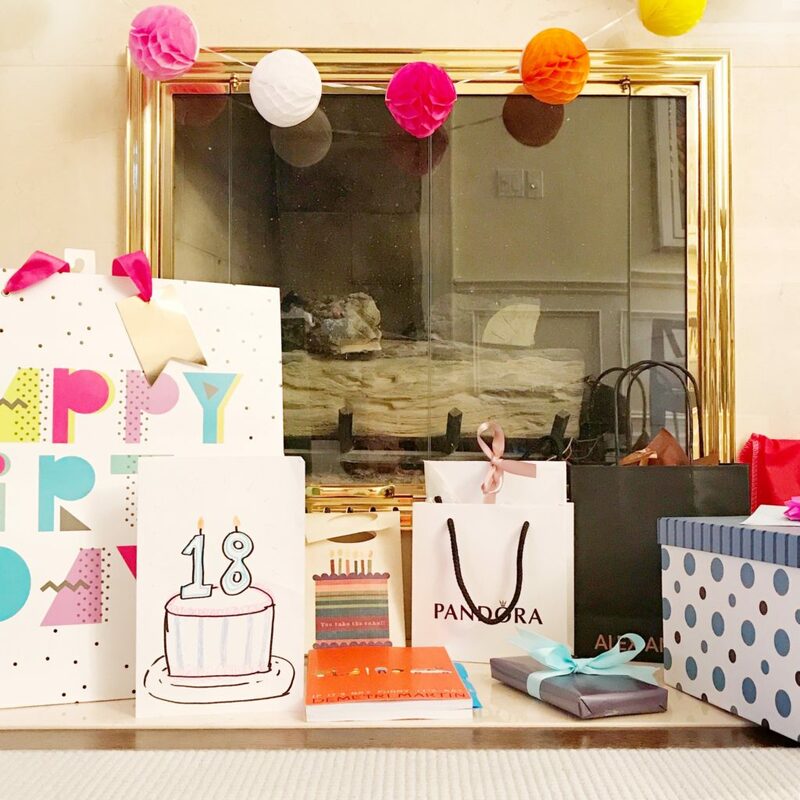 5 Tips For Hosting An 18th Surprise Birthday Party! 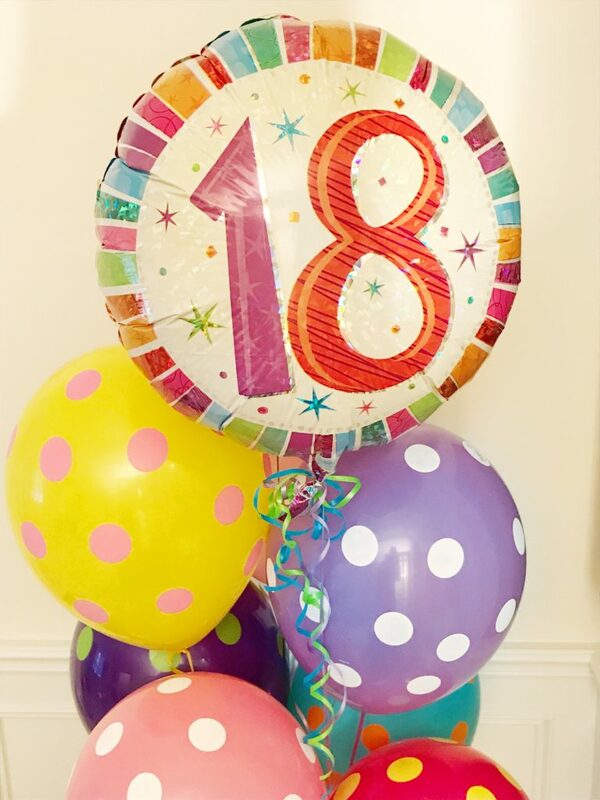 My oldest daughter turns 18 in February and we decided to throw her a surprise 18th birthday party. She’s got a lot going on during her last year in high school including balancing school, social life, and university applications. We knew she wouldn’t have time to plan something that we could work on together, so I thought it best to throw her a surprise. I’m glad we did, because, a few days after her party, she said that she would not have had time to plan a party on her own. I’d never thrown a surprise party at home before, so this was new to me. The hardest part was hiding some of the decorations and the cake, as well as orchestrating her being out of the house. Also, having 3 hours to decorate and get the food and activities ready was quite a challenge. But, I had lots of people helping me and it all worked out. I think the main thing to keep in mind is that kids like to be together, no matter what the occasion. Although I hear my daughter mention her friends on a regular basis and could’ve probably come up with a list myself, it just made sense to ask one of her closest friends to come up with the guest list. This friend put everyone on a group chat and was so helpful in coordinating the time of the party and other instructions. I made a couple of guest suggestions, but left the final decision to the close friend. My daughter loves photos and her friends are very important to her. Her room is plastered with hundreds of photos. She’s using disposable cameras and getting photos developed in hard copy. Secretly, I love that she’s old school that way! 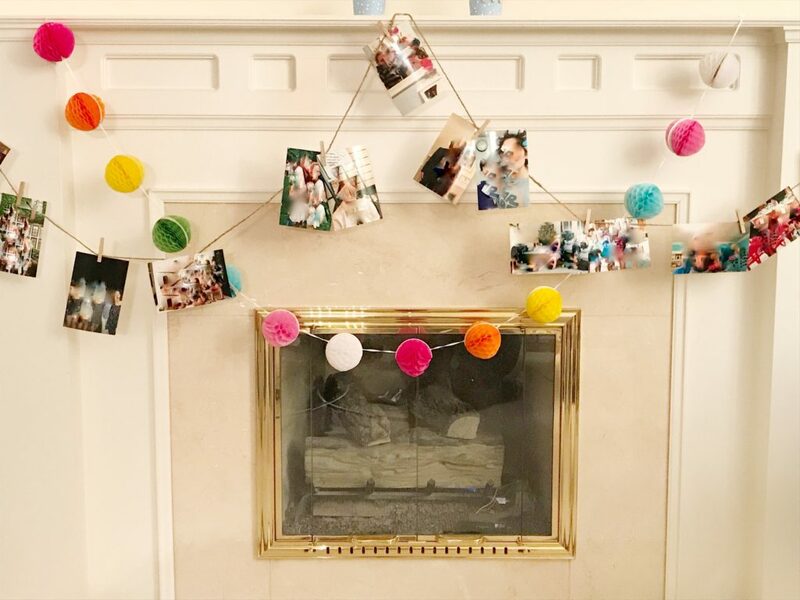 For the decorations, we hung photos on twine on the living room walls. And, we asked all the guests to send photos in that were developed prior to the party. We asked for old and current photos, so that the girls could have fun looking at what their younger selves looked like. And, we had an instant camera, lots of film, and clothespins on hand for taking and hanging photos at the party. This is, of course, harder than it sounds, but you need to have several people involved in getting the birthday girl out of the house. I chose to have the party at home because I knew that the kids could stay as long as they wanted to if we had it at the house. We enlisted her friends to decline any chance of hanging out with her that day and got a friend to take her out for the afternoon and stall her until everyone had arrived at the party. My daughter loves Chipotle Mexican Grill. 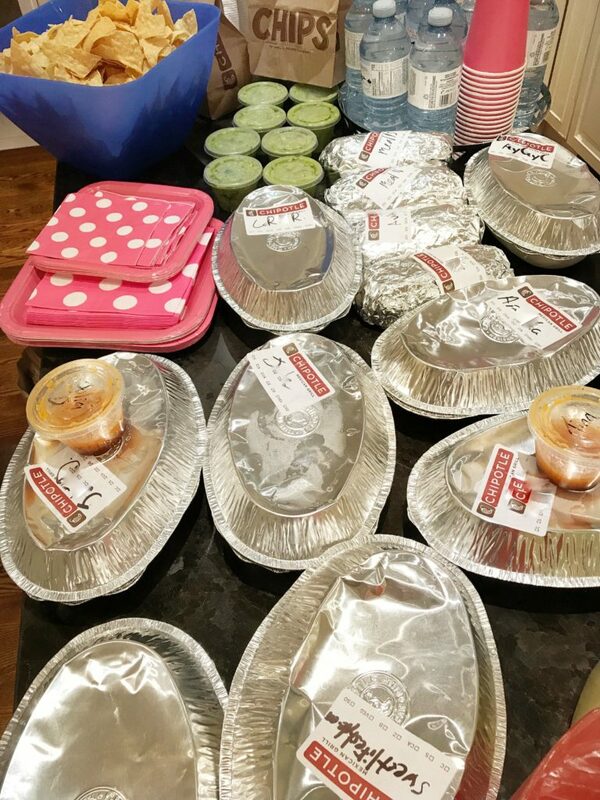 When they had a catered Chipotle event at her school, she couldn’t stop talking about it for days, so that’s what we did. Chipotle has a way of allowing for ‘team ordering’, so I entered in all of the invitees names and the system sent them an email to submit their order. It was so easy and everyone got what they wanted. I supplemented the food with veggies and popcorn before people arrived and ordered lots of chips and extra guacamole. 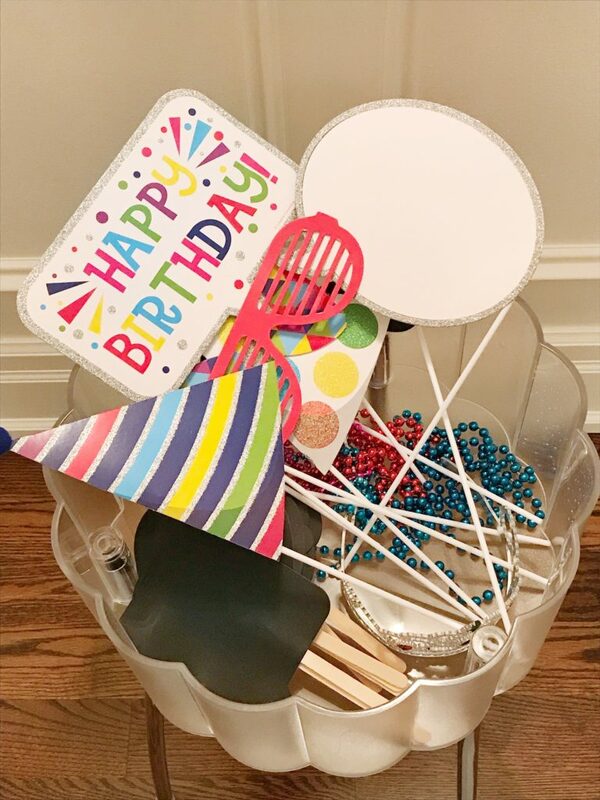 When I did an internet search for birthday ideas, I came across lots of fun things to do. In particular, I kept seeing ‘memory’ games. So, I asked the invitees on the group chat to submit memories of fun events/instances with the birthday girl. We didn’t ask for the names to accompany the memories, so the birthday girl had to read the memory and guess who had submitted it. This game ended up being the hit of the evening and carried the conversations well past midnight. The other activity I had planned was a ‘photo booth and wishes album’. I bought photo booth props from my local party store and a sketch book and stickers from the dollar store. I also bought film with colorful borders, for the instant camera. 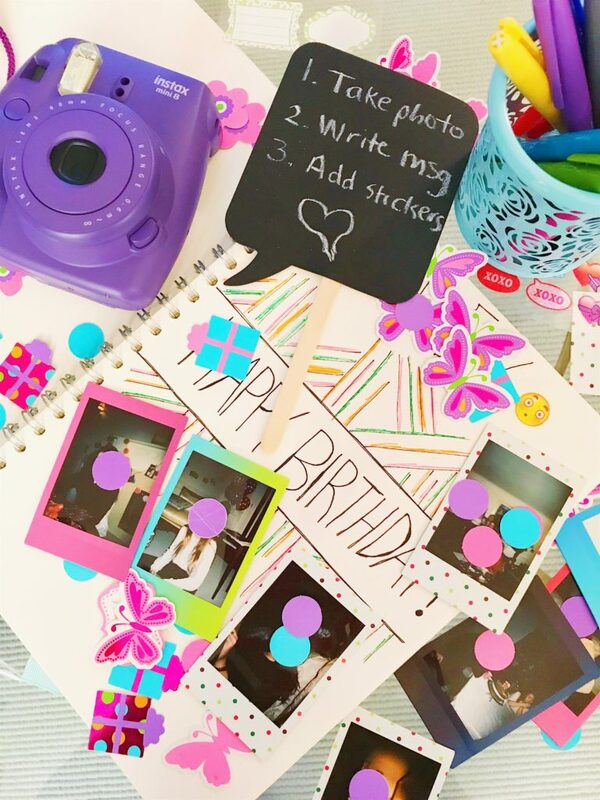 The idea was for the guests to take a photo of themselves with the props, write a memory or wish for the birthday girl in the sketch book, and embellish it with stickers. 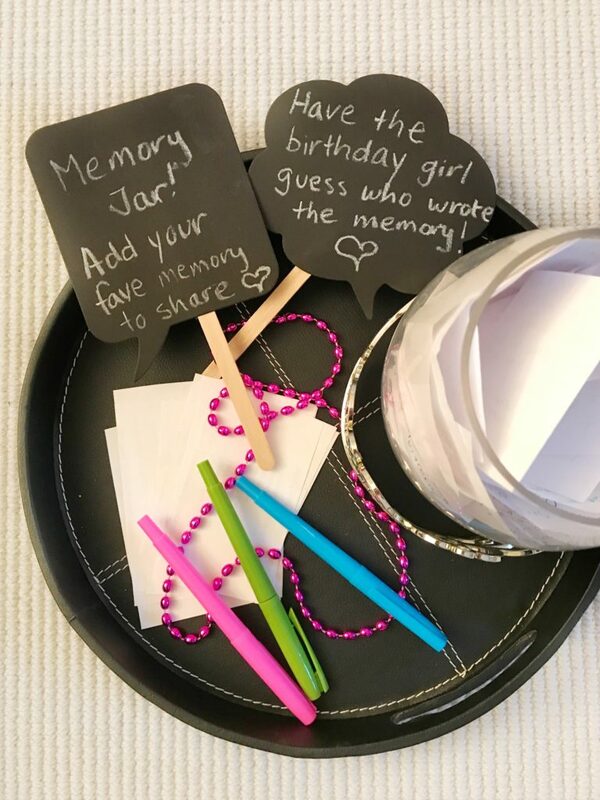 As it turned out, the memory guessing game was so popular and so was just plain teen talk, they didn’t end up using the props or writing in the book. They took lots of photos, though, and those will go in the birthday book along with the hand-written memories. I think I had the most fun making her a chocolate candy box cake. I had seen this cake for a while now, but never attempted to make one. It was so easy and there are tons of ideas and tutorials online. And, it had a huge wow factor when the guests saw it. You can read the following post that gives you the steps and tips on how to make this cake! Of course, having the party at the house meant talking and laughter until late in the evening, so cleaning up had to happen the next day. My daughter absolutely loved having a surprise 18th birthday party and kept thanking us for days. I think it was also fun to have the party before the actual date because she got a whole week of birthday celebrations out of it! 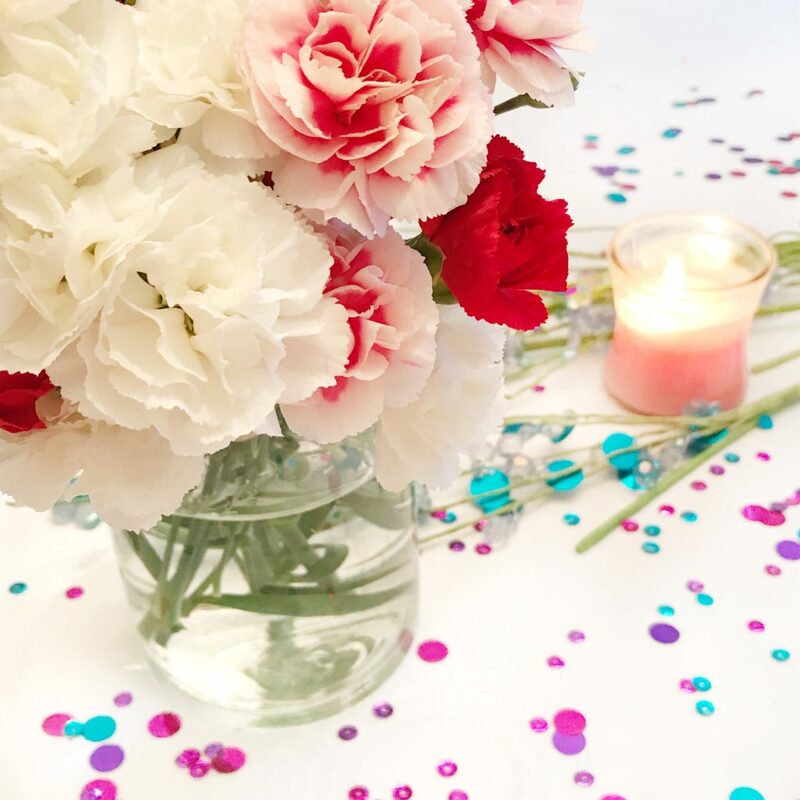 Have you ever thrown a surprise party? What tips can you give? What activities were the biggest hit? 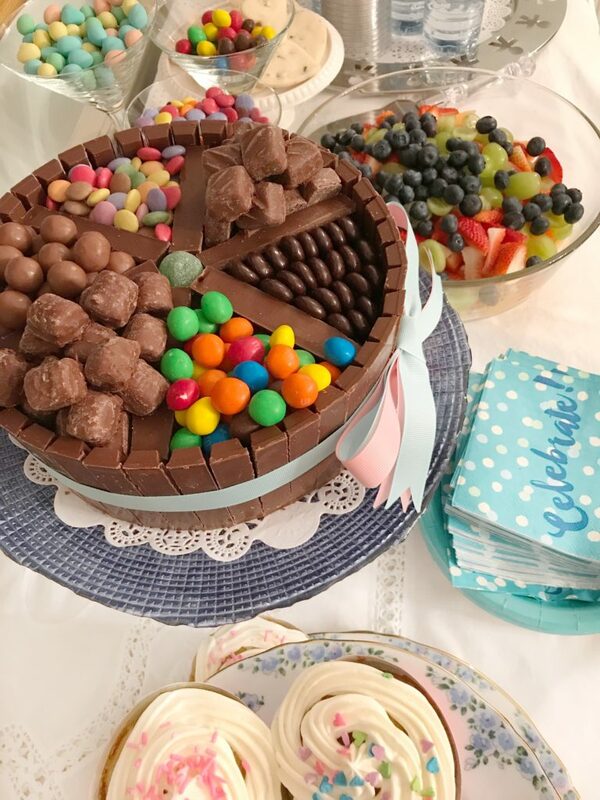 Next > Chocolate Candy Box Cake – Sooo Easy To Make! 18?! How can this be?! I am so excited to read all about the party.